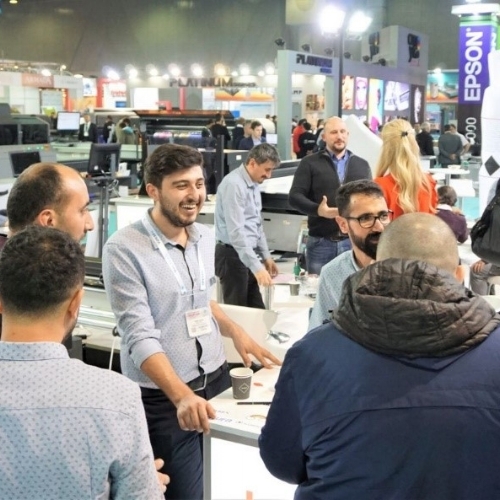 FESPA Eurasia 2018, the region’s leading event for screen, textile and digital wide format, returns to Istanbul, Turkey from 6 to 9 December 2018. 2018 will be the sixth edition of the exhibition, which has gone from strength to strength, growing its visitor audience by 25% since the first event in 2013. The last FESPA Eurasia, which took place in 2017 attracted 8,761 unique visitors. The new extended format recognises the popularity of the Exhibition with many Companies in the MENA market. Showing a wide spread of exhibits, from Fabric and Inks to the latest Screen and Digital printing machines, FESPA Eurasia will give the visitor an unparalleled view of the Global print marketplace. Roz Guarnori, Exhibitions Director at FESPA comments: “Since the launch of FESPA Eurasia in 2013 we have developed our visitor proposition for the show, bringing both new and previous attendees to the show each year. The fact that more and more visitors are staying for longer than one day demonstrates that visitors are engaged with the exhibition and its relevance to the market.